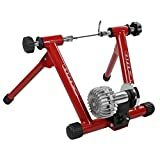 Choosing a bike trainer stand that suits all your needs and lasts a long time can be difficult considering the variety and diversity in the market. 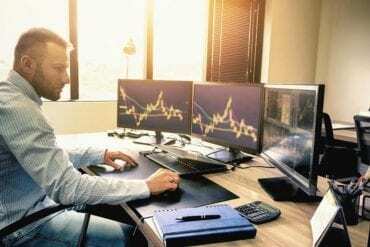 Before looking at some of the best products in the market, we will first take a look at the most important common features that you should consider before making final decisions. 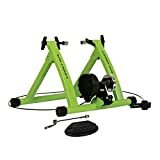 There is more than just one type of bike training stands. 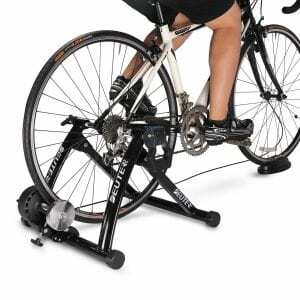 The types include wind trainer stands, fluid, rollers and magnetic. The type of bike trainer you choose depends on your use and your preferences. Wind: the bac wheel powers a fan that produces resistance. This resistance increases as your pedaling speed increases. Magnetic: these trainers use fixed resistance produced by a magnetic flywheel. These are relatively quiet and affordable. These trainers require manual resistance adjustment. Fluid: these are usually silicone based and have a progressive resistance system. They are becoming popular in the market for their real road-like feel. Rollers: this is more suitable for professionals or experts as it requires balancing while pedaling. Storage and portability. Many products in the market come with a foldable feature. This is necessary for you if you look forward to carrying your trainer from one place to another. Storing them also becomes easier. Noise reduction technology. Using noisy stands indoors can be bothering to you and many people around you as well. So make sure that the product you’re choosing has a noise-reduction technology. The wider is the base, the sturdier and stable your experience will be. Assembling and setting up the stand with your bike should not be time-consuming and tiring. You don’t want to waste your energy on only setting up the stand. There are products in the market that have a simple and one-step assembling and setting up method. The stand should be diverse regarding its compatibility with bikes and wheels. Choose a stand that can be used with a wide range of wheel sizes. Many fluid stands provide a real road-like experience. This is important if you want to train for a more professional and real experience. 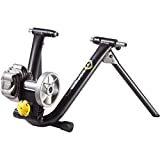 If you are looking for a bike trainer stand that fits all kinds of bike and is as durable as it can get, then this is the one for you. This trainer stand by Ustar is designed in such a way that it is easily portable. It is foldable and weighs about 17.64 lbs, making it easier for you to carry it around if you want. The trainer stand can be unfolded with the free quick-release skewer. The stand is powerfully built and is sturdy. It is made of Q915 steel material. This is a versatile and reliable product. You can choose from a variety of 3 colors including green, blue and red. The stand is suitable for all tires sized between 26inch to 28 inches and 700 tires. The use of this stand is not restricted to only one type of bike; it is preferably suitable for all bikes including mountain bikes and road bikes. It has 6 adjustable levels of resistance. You can control the resistance as per your requirement. It also has an adjustable mounted bar. Your experience will be enhanced with this quality built and customizable trainer stand. Very silent when used because of its magnetic quality. It has 6 levels of adjustable resistance. This stand comes in 3 different colors. The magnetic stand can result in a unrealistic training experience. Requires manually adjusting the resistance. This is another magnetic bike trainer stand by DYNAMIC SE. It has adjustable 6 resistance levels that you can adjust according to your preferences. The stand has a wide base that provides your bike stability. The stand will also give you and your bike an attractive and unique look with its matte lacquer finish. 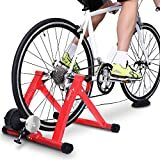 You can use this stand with your bike indoors as well and don’t have to worry about stepping out for exercising or working out. The stand comes with an easy-release skewer to unfold the stand. It also includes a resistance remote control and a front wheel block. It provides stability with a wide base. Unique design and appearance make it the best choice. Adjustable resistance settings via remote. This advanced and efficient trainer stand by Travel Trac is a silicone-based fluid trainer. The stand provides convenience to its user with its foldable and portable design. It reduces to a size of 5.5 inches when folded. 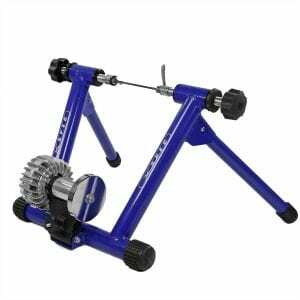 This is a fluid bike trainer stands, which ensures that your experience is very smooth, quiet and realistic. It is based on a progressive resistance system as you increase your speed, resistance increases. Easily set up the stand with the quick release skewer. 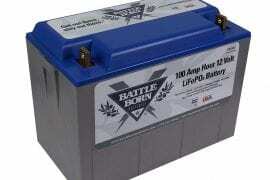 This is one of the most durable and reliable products in the market. Fluid trainers have been gaining popularity in the trainer stand markets because of their least noisy and real road-like quality. The cupolas on the arms of the trainer stand allow the stand and the bike to remain stable on uneven or rugged surfaces. Weighs 15.4 pounds, this prevents the bike from moving from its place when being used. Easy portability and transportation with a foldable feature. Progressive resistance allows a realistic experience. Resistance level is limited and not adjustable like other magnetic products. Not suitable for large bikes. This is another fluid trainer stand by Xspec. It has a progressive resistance mechanism like most of the fluid trainers. With a unique and attractive appearance, this product ensures a positive experience for its users. 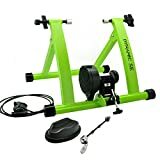 Easily and quickly convert your bike into an indoor exercise machine. It has a quick-lock bike mount and custom skewer feature, and can also be folded for easy transportation and portability. The resistance range of this trainer stand is remarkable, and it is infinite which means you can go as high as you like. The fluid gets warmer as you increase your speed. 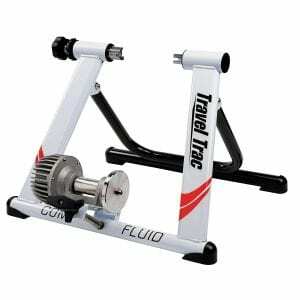 But the self – a cooling feature of this trainer makes it outperform many products in the market. The fluid cools down itself; this ensures durability and a longer lasting quality performance. Moreover, add style and uniqueness to your bike by choosing from a variety of 3 colors; red, blue and black. Real road-like experience with its fluid mechanism. 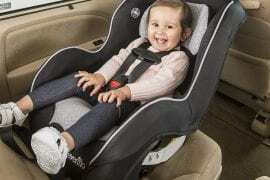 The self-cooling system ensures safety and durability. It comes in a variety of 3 colors. It does not fit wheels larger than 29 inches. 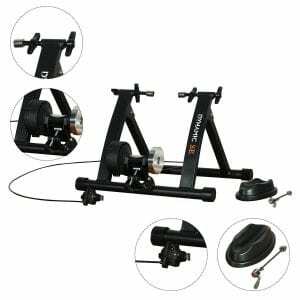 The Kinetic Road Machine fluid trainer promises to provide you with a real road-like experience with its reliable and durable quality. The trainer is diverse and versatile unlike many other products in the market. It can gold tires sized between 22 to 29 inches which is a wide range. The stand comes with Kinetic inRide Watt Meter for power training. Kinetic by Kurt also offers a generous lifetime warranty with this trainer stand which also makes it a good and safe investment. The stand allows for indoor training and exercise. It has a progressive resistance system which makes the riding experience very real road-like. This trainer stand beats many competitor products regarding noise reduction. The stand is brilliantly silent and smooth. The stand has ergonomic touch points. It has rubber feet that make it more stable. Fluid resistance allows realistic experience. Stands firmly with its rubber feet. Comes already assembled so you don’t have to worry about assembling. Compatible with most mountain bikes. This trainer stands by Conquer is a complete all-in-one package. From quality to diversity, this stand has it all. It is a magnetic-based stand that has an extra wide base to maximize the stability of your bike. A strongly built trainer, it also has an attractive appearance. It is made with heavy duty steel that ensures durability and a long lasting life. The wide stable frame will enhance your training experience as it will ensure your bike remains sturdy while pedaling. And that’s not all; the trainer is also portable with its foldable feature. Carry it indoors and exercise anywhere you like. This is a magnetic trainer which mean you have full control over its resistance level. You can adjust the resistance with either the knob or by shifting the gears. Minimum noise, suitable for indoor use. Heavy and strong steel construction. Becomes compact and portable when folded. Easy setup. Does not require special tools. Not compatible with tires larger than 27 inches. Not compatible with bikes having skewers larger than 7.5 inches. Requires manual resistance adjustment. You may have to remove your bike to navigate the resistance knob. 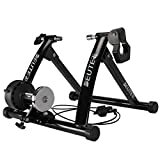 If you’re looking for a trainer that makes the least noise when being used, this fluid resistance system trainer is the one for you. Use it indoors or outdoors, you don’t have to worry about bothering others with the noise of the trainer. 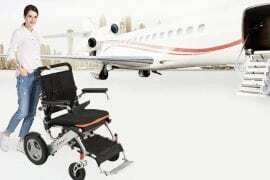 The product ensures a real road-like experience with its 2 large sized flywheels. The progressive resistance system also increases the real road feel. 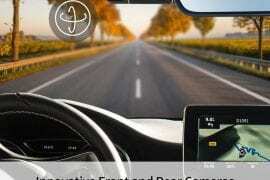 The product’s durability is ensured with its automatic, self-cooling mechanism. This makes the trainer efficient and reliable. 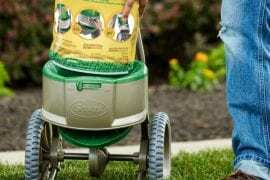 The company provides a generous lifetime warranty. This trainer is surely a safe and smart choice. This is one of the most famous bike trainer stands in the market. Strong and sturdy built. Very long lasting. This bike trainer stand by Gavin promises a real road-like feel even with its magnetic system. It has a progressive magnetic system that increases the resistance as your speed increases, just like in reality. Gavin is a small company that manufactures high quality and a wide variety of bike-related products. This trainer stand is one of its best and most famous products. With the extra wide frame, give your training and cycling experience the stability it needs. It also has a strong and durable built. It comes with a quick release system that allows easy and quick set up at an affordable price. Optimal stability with sturdy built and wide base. Magnetic progressive resistance gives real-life experience. Suitable with wheels sized between 27 to 28 inches. This is an unshakable bike trainer stand by Deuter. It has rubber feet that ensure it remains stable on any type of surface. Don’t worry about damaging your indoor flooring as the rubber feet also prevent the trainer from leaving marks on the floor. 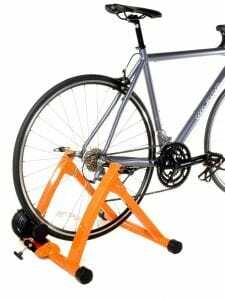 Compared to other bike trainers in the market, this stand has an easier and a quick installation and releasing method. It comes with 2 clamps that hold on to the rear wheels with a strong grip. It has a sturdy steel frame built for a long lasting life. You can store or carry this high-quality trainer stand easily with its foldable feature. The stand is compatible with wheels sized between 26 to 28 inches and 700c tires. Easy installation and release. Also comes with a guide. Long lasting and durable built quality. Unshakable and remains stable on all surfaces. Has rubber feet that prevent scratches on the floors. Flywheel quality is not up to the mark. One of the most successful products on the market, the trainer stand by Sportneer enhances the training experience with its versatile features. It comes with a wide base, making it usable on any rugged or rough surface without any instability. It has 5 adjustable rubber feet that prevent slipping. 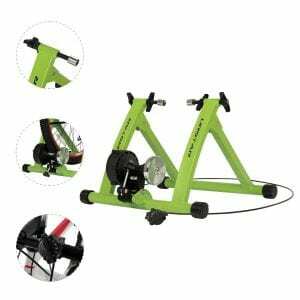 Safety and quality are ensured with this bike trainer sand. 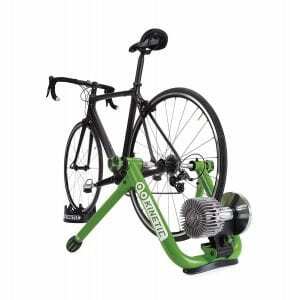 Other than that, the trainer features a noise reduction wheel for smooth and quiet pedaling. It’s a diverse product that fits with any kind of bike including mountain bikes, its compatible with tires sized 26 to 28 inches and 700c tires. Suitable for all kinds of bikes. A wide range of tire compatibility. Easy release. One press of the lever releases the bike. Wide range resistance. Remote controlled. Able to simulate all kinds of cycling conditions. Noise levels are relatively high. The TrendyReviewed is a participant in the Amazon Services LLC Associates Program, an affiliate advertising program designed to provide a means for sites to earn advertising fees by advertising and linking to Amazon website. @2019 TrendyReviewed. ALL RIGHTS RESERVED.